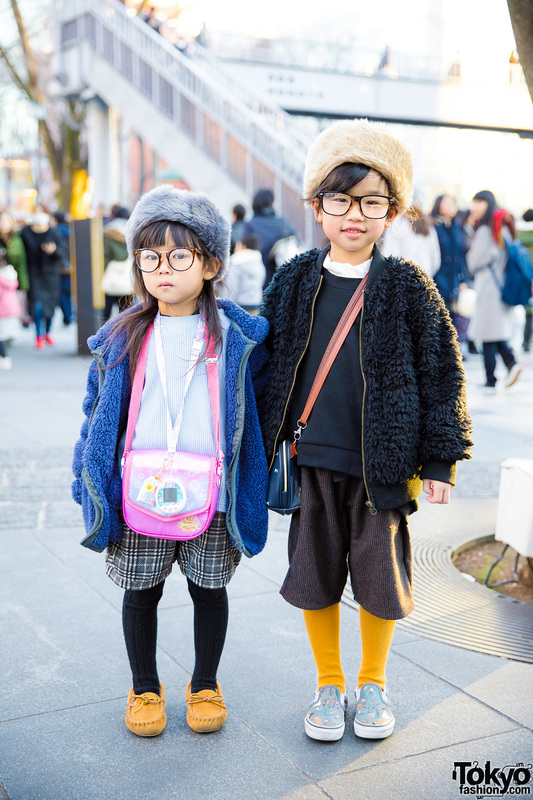 Harajuku kids in cute winter street styles with fuzzy coats, sweaters, shorts, tights, slipon sneakers, pillbox hats & sling bags. 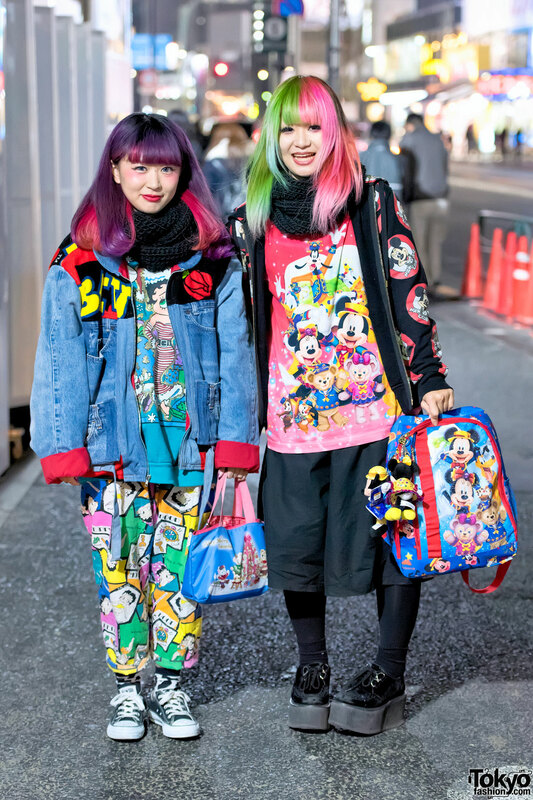 Harajuku girl with piercings wearing a Mickey Mouse print jacket over a suspenders crop top, lace skirt, Pluto tights, smiley face backpack and platform lace-up boots. Harajuku girl in twin tails and puffy sleeves t-shirt, pleated skirt, pink backpack, platform loafers and socks vs. girl in glasses, mesh top, pleated skirt, crocodile bag and patent oxfords. 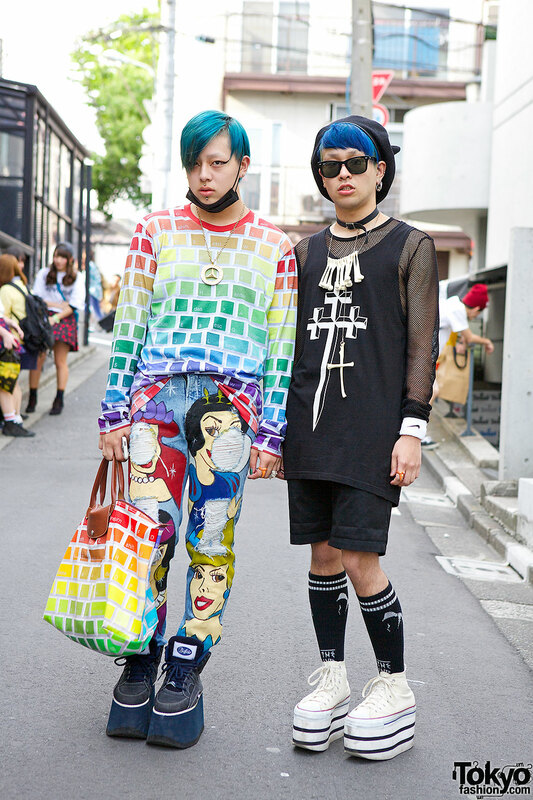 Harajuku guy with blue hair, matching keyboard print sweatshirt and bag and Disney princess print pants vs. Harajuku guy with blue hair and horns beret in monochrome tank over mesh top, platforms and bones necklace.